Saudi Cultural Attaché-Designate to Australia Dr. Abdulfatah Bin Jameel Bostanji participated in a meeting held between H.E. 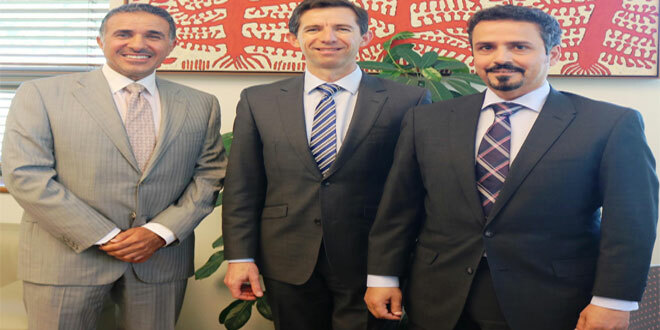 Ambassador of the Custodian of the Two Holy Mosques to Australia and New Zealand Mr. Nabil Bin Mohamed Al Saleh and Australian Minister of Education Mr. Simon Birmingham. 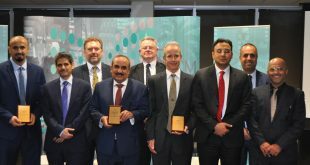 The meeting focused on Saudi-Australian co-operation in the area of higher education and scientific research and a number of issues pertinent to Saudi scholarship students in Australia. The meeting also discussed several issues of mutual interest, in the fields of scientific and educational exchange. The most prominent features of Saudi Arabia’s Vision 2030, and higher education development programs were also highlighted. 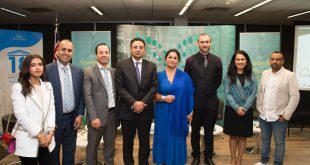 Participants discussed, inter alia, status of Saudi students in Australian universities, in a bid to explore ways of facilitating their residence and study in Australia. The meeting touched on Saudi Arabia’s Vision 2030, which was announced early this year, highlighting its strategies that effectively contribute to the development of higher education in Saudi Arabia. 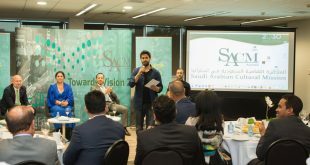 Those strategies included entrepreneurship programs which help achieving a comprehensive development through investing in skills and abilities of young Saudis, which Saudi government regards as the most important and valuable resource. 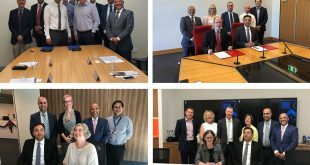 The meeting also discussed the possible ways of supporting and developing partnerships between Saudi and Australian universities. “KHEBRAT”, a Teacher Professional Development Program run by the Saudi Ministry of Education, which aims at qualifying Saudi cadres to take leadership in the areas of public education, was a topic of discussion in the meeting. Concluding the meeting, Australian Minister of Education received a copy of Saudi Arabia’s Vision 2030 and an invitation from the Ambassador to attend the International Exhibition and Conference on Higher Education 2017 in Riyadh, in April next year.